In fact, he reveals such a massive technical incompetence that his works belong into the category of novels rather than history. 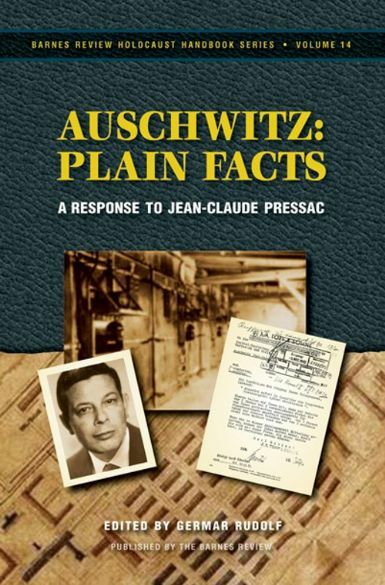 Despite these deficiencies, Pressac is still hailed as the savior of the Auschwitz-Holocaust by the mainstream. With contribution by Germar Rudolf, Serge Thion, Robert Faurisson, and Carlo Mattogno.